Movie: "The Divergent Series: Allegiant"
With Jeanine and Erudite defeated, Evelyn (Naomi Watts) and the Factionless have risen to a place of power. Evelyn has banned people from leaving Chicago and has started executing those who supported the Erudite uprising and Divergent eradication. This has caused a rift between Evelyn and Johanna (Octavia Spencer), who creates the group called Allegiant, those stand opposed to the way Evelyn is running things. Meanwhile, Tris (Shailene Woodley) and Four (Theo James) free Tris's brother Caleb (Ansel Elgort) and head out beyond the wall to find the people who founded the Chicago experiment, an act viewed as treason and punishable by death in the mind of Evelyn's followers. While Tris pleads for help from the Chicago founders, a war brews at home, threatening the city's very existence. In the minds of movie makers, the right thing to do was to drag the "Divergent" series out just a liiiiiiiiittle bit longer to try and squeeze more money from hapless moviegoers. Yeah, that went over well. "Allegiant" was supposed to be the final chapter in the "Divergent" film series...that is, before it became standard practice for studios to split the final installment of a franchise into two films regardless of the amount of filler needed to make a cohesive, interesting movie. The entire young adult cast, including Shailene Woodley, Theo James, Ansel Elgort, Zoe Kravitz, and Miles Teller, are all back to reprise their roles, and even they seem as tired of their characters and this franchise as we are. Sure, they go through the motions and deliver their terrible lines as they are expected to, but it never feels convincing, impassioned, or meaningful this time around. Even though their performances lack passion, they are all serviceable for the most part. Miles Teller is even somewhat charming and provides much of the film's comedic relief, despite the fact that his character is a total shithead. It begs the question, though: if the group knows he has a tendency to try and cause a disruption in their plans, WHY DO THEY BRING HIM EVERYWHERE THEY GO?! The only downright awful performance comes from Jonny Weston, who plays Edgar, the right hand man of Evelyn, played by Naomi Watts. Everything Weston says or does looks and sounds artificial and disingenuous. His bad performance sticks out like a sore thumb in a sea of mediocrity, and we never thought we'd say this, but it really made us miss Jai Courtney, which is saying something. For the already established actors such as Watts, Octavia Spencer, Jeff Daniels, and Kate Winslet from the first two films, we wonder if they small paycheck was worth being involved in such a drawn out, undistinguished series. In defense of the actors here, it's hard to sound natural and sincere with such clunky dialogue, and the script of "Allegiant" is full of it. At least in the first movie, there was enough substance to make the audience feel slightly connected to the story and its characters. This time around, the narrative isn't great at all. The author of the book series, Veronica Roth, seemed unsure where her story was going and just started borrowing from other already existing books/movies. 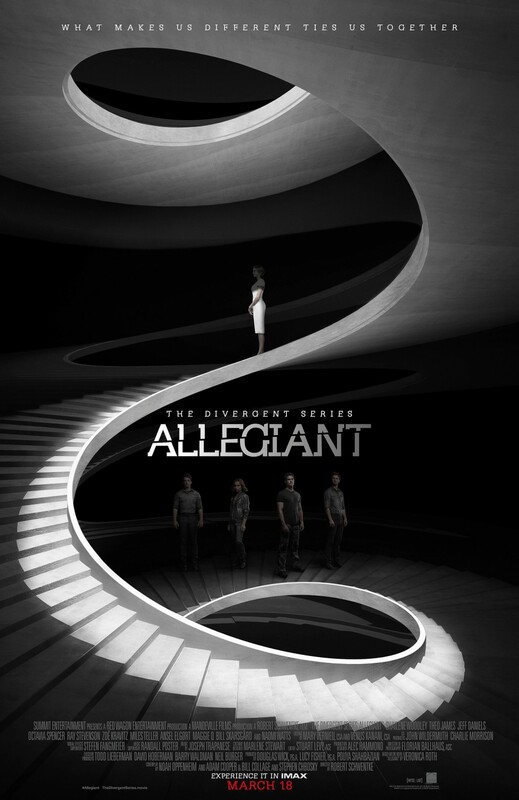 There are some lines in "Allegiant" that sound eerily reminiscent if not straight up identical to those found in both of the movies in the "Maze Runner" series. The direction they decide to go starts to create massive plot holes in an already flimsy story. 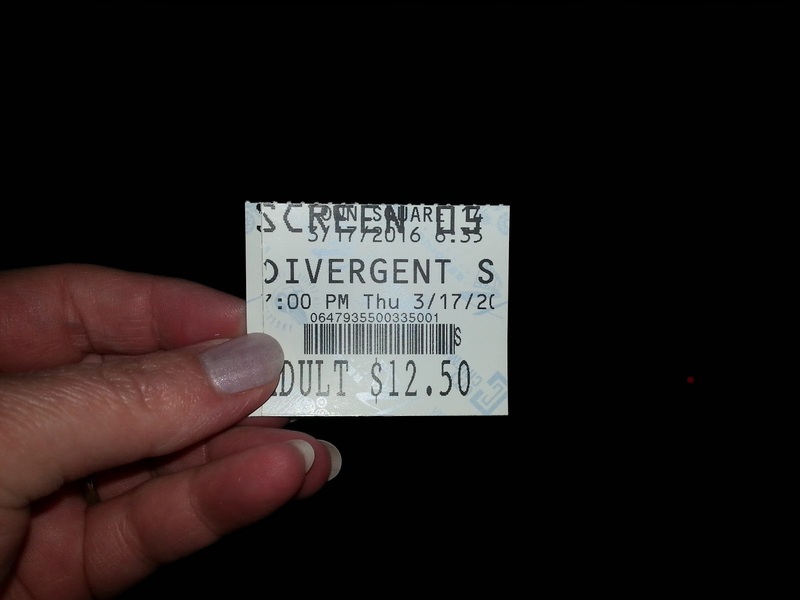 Bored is a good word to describe how we felt during our experience with "Allegiant." There were massive amounts of time where flashy flashing boom boom things were happening on screen, these attempts to draw the audience into its conflict and subsequent ending, and we just felt completely apathetic to the entire movie when all was said and done. We sat through the entire thing, a two hour long film, and at the end of it, we had the overwhelming sense that nothing had been accomplished in this installment. We knew it would end on a cliffhanger, we fulled expected it (unlike the older woman behind us who audibly expressed her disdain for its ending), but even outside of the cliffhanger, it feels bloated with filler. There are a few good moments with some cool action and interesting special effects, but none of it winds up gelling together. A war is breaking out in Chicago, and we are forced to watch Tris and Four at what used to be Chicago O'Hare international airport arguing over who is "pure" and who is "damaged" and watching them kiss and get separated a billion times. They debate 'what it all means' as David, played by Jeff Daniels, talks about the experiment he has been running and how Tris will somehow inexplicably save the whole world. Back it up just a little bit....we meeeeeean.....pure??? Could they have used a more Aryan term?!? How will Tris save the world? Who knows, it's apparently mystery, and one we're not the least bit looking forward to solving. If "Allegiant" is any indication, this series keeps sliding farther and farther away from any semblance of quality. With each new release, we are less interested in the plot, the characters, their actions, their reactions, and the wars they have to go through to save their city. There are simply too many inconsistencies by now, too many plot holes, which makes this franchise less and less appealing to the masses. Remember, there is still one more movie left. The real mystery is how this final installment got split in two in the first place. We seriously wonder if anyone will still care about this series by the time the last film gets released. One year ago, we were watching: "Insurgent"